The organic Alpicare cooling GEL for tired LEGS with high-quality alpine herbs and plants is a treat for tired legs. Precious extracts of chestnut 6 mint and pure essential oils strenghten and revitalize your legs, giving you new strength and stamina. These semiprecious stones are used for stimulating and energizing the water. Specific effects are ascribed to every single stone. Franzbranntwein Tyrolean Mountain Pine 250 ml. Food supplement made of liquorice, favors the functionality of the digestive system, mallow, useful for the physiological intestinal transit and for softening and soothing and carob seeds. A non-greasy nourishing body oil enriched with an empowering scent. delivering hydrating and firming benefits. Aromatical power heightens experience of body care and provides relax (vanilla) and tone (orange). Walking through the forests of South Tyrol there is a calm oasis. The air is slightly spicy, filled with the scent of pine needles and mint, oak moss, lichens and resin. 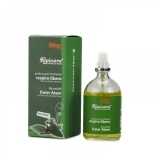 Südtirol Fragrance 1900 Air Refreshener - Relaxing 200 ml. - Vitalis Dr. Joseph 28,60 EUR / 14,30 €/100 ml. Arnica - Mountain Pine ointment 50 ml. bio - Bergila 16,50 EUR / 33,00 €/100 ml. Alpine Juniper Oil organic 10 ml. - Bergila 15,50 EUR / 155,00 €/100 ml. This Table Parmesan is the most tasty cheese I\'ve ever trie ..